Hubby has a new phone. Usually our next step after a purchase is to pick out a protective case. This time his Samsung Galaxy Active already had a rugged design made for people who did a lot outdoors and could easily damage their device. 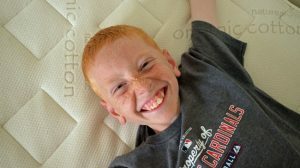 I had never heard of anything like it, but it’s perfect for him! 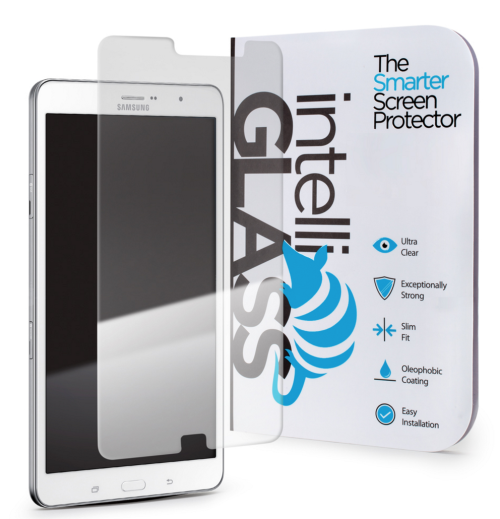 One thing that he still was looking into though was a screen protector to protect the front glass and that is where IntelliGLASS comes in. An advanced silicone base layer that adheres (a slight stick!) to your phone or tablet’s screen easily and without bubbles – all while leaving no residue. An ultra-hardened REAL glass layer that has been specially treated to have greater scratch resistance than steel. You can test it by scratching it with a set of car keys and nothing will happen! An oil and smudge resistant outer layer that repels fingerprints and makes cleaning your phone’s surface a snap. With kids around this is a must! He now has the ultra protective phone and starting at $12.95 it is definitley worth the price. You seriously can’t go wrong! 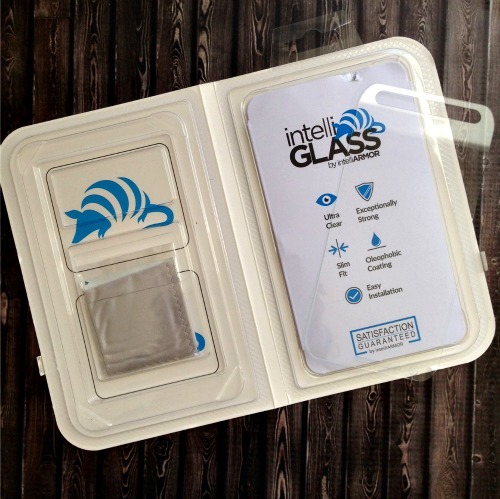 WIN intelliGLASS for your device! I partnered with Tomoson and intelliGLASS for this sponsored post. All opinions are my own. The giveaway will end on Nov. 30, 2015 at midnight MT. Winners will be drawn via widget. Once a winner is drawn I will contact them and they will have 24 hours to reply before I draw a new winner. Giveaway is open to anyone in US and you must be 18 years of age or older. Giveaway not affiliated with Facebook & I release them of liability. Winner will be posted in the widget. Enter to Win Reliable Corporation’s EnviroMate Pronto Steam Cleaner ~ 2 Win! I could definitely use this! Thank you for the chance. My son gave me his Iphone when he up-graded and it does not have a cover. I wish I had this on my phone. I have scratched and dinged my phone so many times. When I get a new one, I am getting this protector! I could definitely use this for my hubby's Ipad! Right now I don't need this but hubby probably does. I'm interested in your hubby's Samsung! I've never heard of a Galaxy Active?!? What carrier is it with? What does it look like? I can use this. With phones and tablets in this house. It would be great. I worry that I am going to drop my phone and crack the face. Yes, I could use this. On my S6 for sure! I could definitely use intelliGLASS on my devices. I would like one for my iPad! I'm not sure but I think this was the item I was looking into for my husband's new phone. Yes, I could use this. It would be handy to have. This would be great for my phone! Yes, I'd love to use this on my iphone! Yes, I could us this. My kids use my phone to play games and this would help to make it scratch resistant.